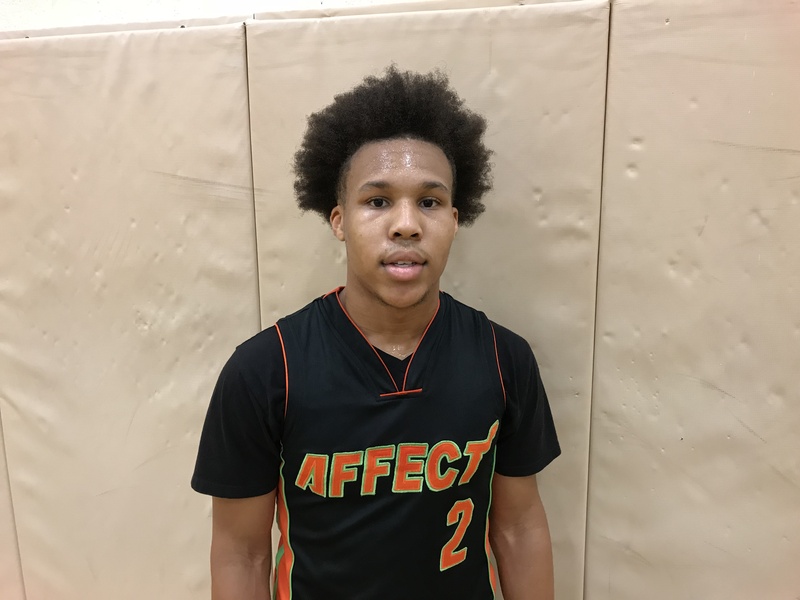 2019 5-10 PG Josh Guilford (Heritage-Conyers) shined in Georgia Man Up’s 67-64 championship victory over Team Affect. He was tricky, using his experience to coax three fouls on three-point attempts. He finished with 15 points, 5 rebounds, 5 assists and 4 steals. Guilford has a good feel for the game and has momentum coming off of Heritage’s Final Four run in Class AAAAAA. He was the team’s third-leading scorer at 11.3 points per game and will bring with him some veteran savvy his senior season. 2019 6-2 SG Khobe Comer (Stockbridge) caught my eye with his pretty shooting stroke and nice size. He was a role player for the Tigers last season but should move up in the rotation. He was a crucial floor spacer for Georgia Man Up and hit three timely three-pointers down the stretch in the championship, hitting four for the game and finishing with 15 points and MVP honors. 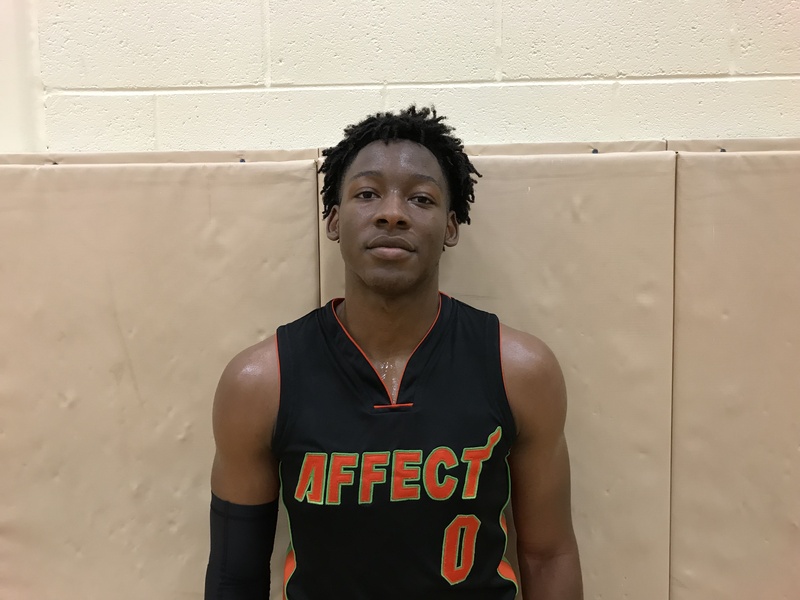 2019 5-foot-10 PG Trillis Brown (Stockbridge) averaged 7.3 points during the high school season. He was a playmaker this weekend at sportalSlam I. He came in off the bench to affect the game in ways that don’t always show up on the scoresheet. He netted 6 points, but it was his defensive pressure and decision making with the ball that shined. He had two nice assists and knows how to set up his teammates. 2018 6-5 SF Tabais Long (Salem) is a player that has long interested me. With such size, at first glance you would think the Scotland Prep bound swingman is more akin to playing the role of bruiser on the block, but instead it’s his mixture of skill and physicality that sets him apart. Long can handle the ball like a guard, but punish you on downhill assaults like LeBron James, using his body to absorb contact and finish at the rim. He posted 32 points, 9 rebounds, 1 assist, 2 steals and 1 block in a blowout win and showed all the tools that makes him a prospect to keep tabs on. In the championship game, he struggled with 10 points, 4 rebounds and 3 assists, airballing two three-pointers. Over his senior season, Long averaged 11.7 points, 7.6 rebounds, 2.7 assists and 1.3 steals while hitting 45% of his three-point attempts (25-of-55). He has the physical tools to be a productive college player. 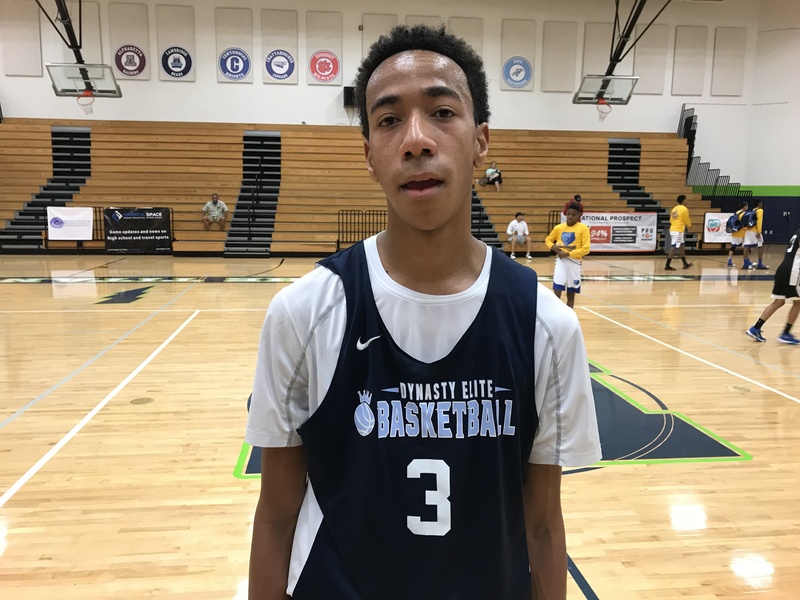 2019 5-10 PG Jalen Horton (Rockdale County) showed some flashes of being able to carry the load offensively for the Bulldogs next season. After averaging 5 points and 3.6 assists, Horton will be asked to play a much more substantial role in the offense with Sayvon Traylor graduating his 21.9 points per game. Horton is a spark plug guard that likes to break his man down off the dribble. He has to be careful not to over dribble too much. The only time he might force the issue is when he tries to get into the paint. He didn’t take too many bad outside shots this weekend and moved the ball around. He had 13 points, 5 rebounds and 3 steals in a 35-point win. In a championship loss, he finished with 6 points, 4 assists and 3 steals. 2018 6-5 SF Tehjuan Powell (Salem) is a rugged slasher that finishes with authority at the rim. He led the Seminoles in scoring his senior season at 13.3 points to go with his 5.2 rebounds per game. Everything was towards the basket. He reminded me of Central-Talbotton’s ZyTavian Hill, a physical specimen that imposes his will. Powell had 12 points and 4 rebounds in a rout and posted 16 points and 5 boards in the championship. He must develop an outside shot to keep defenses honest and round out his offensive game. He plays with a chip on his shoulder and isn’t afraid to talk during games. 2018 6-5 PF Jalen Reynolds (Salem) was a space eater inside. He used his wide frame well and showed some back-to-the-basket post moves. He has a strong drop step that freed him up consistently throughout the weekend. One he got his shoulders past the defender, he was strong enough to keep any would-be shot blockers from affecting him. His best game came in the championship with 18 points and 11 rebounds. 2020 5-11 CG Jeremiah Venson (Salem) rose his stock at sportalSlam. The lefty played sparingly this season, averaging 2.9 points per game, but that should change next year. Venson is a microwave from deep, that can get hot in a hurry. He is composed with the ball and can catch defenders off balance. Once his three-point shot is established, Venson can attack the paint and finish in traffic. He had 13 points, 4 rebounds and 3 steals against the Georgia Livin’ Legends and followed up with 14 points on 4 threes in the title game. 2020 6-6 C Kedric Barrett (Lambert) was so impressive throughout sportalSlam, capping his excellence with MVP honors after wrecking the Smyrna Stars for 25 points and 15 rebounds. Barrett is a big boy and uses his size to his advantage. He is a throw back post that knows how to score around the rim. He loves to turn over his left shoulder to get to his baby hook which he kissed off the glass consistently. The Grizzlies high-lowed teams to death this weekend, using duck-ins to get Barrett free. He has a nice touch that can extend to 15-feet and was money from the line, going 9-of-10 in the championship. Barrett can sometimes incite altercations with his play inside, but when he is locked in and doesn’t get involved with any head games, Barrett is a solid foundation player. Currently, he is stuck behind fellow sophomore 6-foot-8 Colin Granger on the Lambert depth chart. 2020 5-11 SG Franklin Bailey (Chattahoochee) was money from deep. Bailey overall may have been the Grizzlies’ most consistent scorer. He drilled 13 threes in the three games I watched, posting 20, 20 and 11 points. Bailey can’t be left open from deep or he will burn you. He can get his shot off the bounce when needed, but he’s at his best when he keeps his dribble to a minimum. 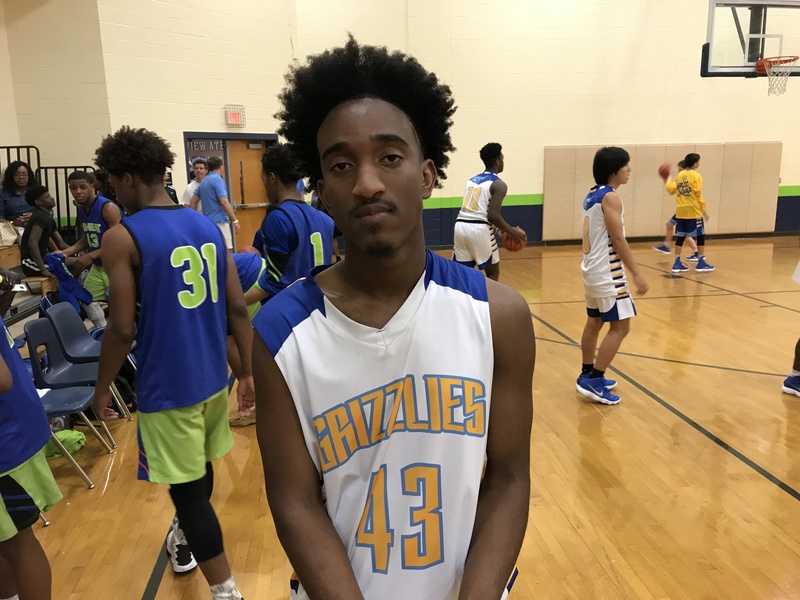 He can be a plug-and-play three-point specialist in a pinch for a young Chattahoochee team. 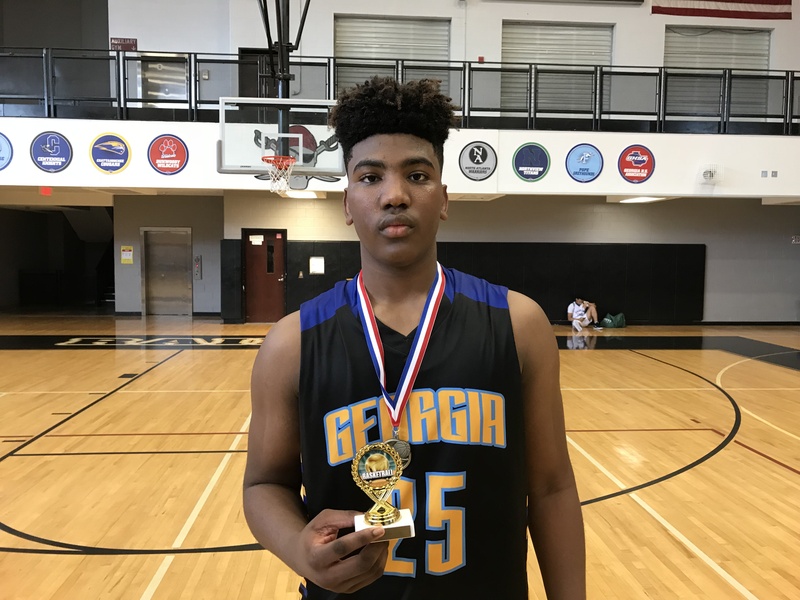 2020 6-6 F Javani Brown (Johns Creek) has outstanding bloodlines, the son of former 15-year NBA veteran PJ Brown and coaching maestro Dee Brown. Javani is long and lean and has his best ball ahead of him. He can knock down the three, hitting six in a three-game span. He came on strong in the championship game, sinking three deep balls en route to 12 points. Right now he is a bit of a tweener at forward. I’d like to see him work on his post up game to really make him a three-level threat. 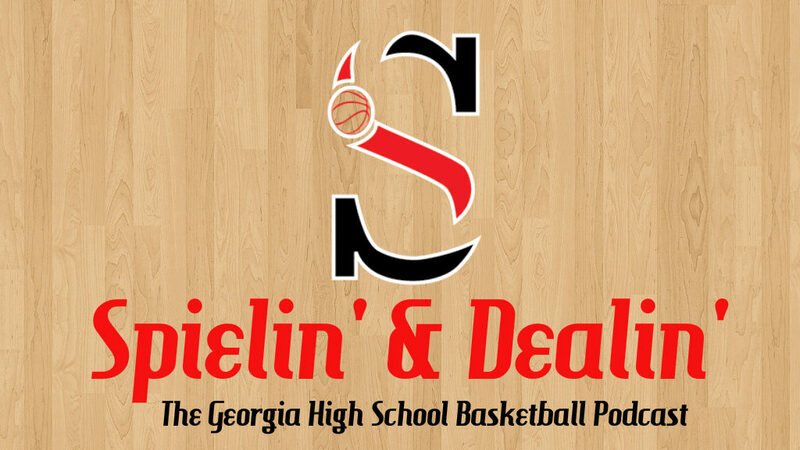 2020 6-5 PF Sean Rutledge (East Paulding) is a workhorse post with ball skills that will play a big role in new coach JW Cantrell’s offense. I fell in love with Rutledge’s toughness and agility. He is a big bruiser inside but he can ignite his own fast breaks with the dribble. He handles the ball well but is definitely at his best when anchored on the block. He is a bully on the boards with soft hands. He had 11 points and 13 rebounds in the title game. Rutledge has an up-and-under along with some ball fakes in his post arsenal. He plays the angles well and understands how to use his shoulders to score in defenders’ chests. Playing in a more traditional offense will suit his style of play well. 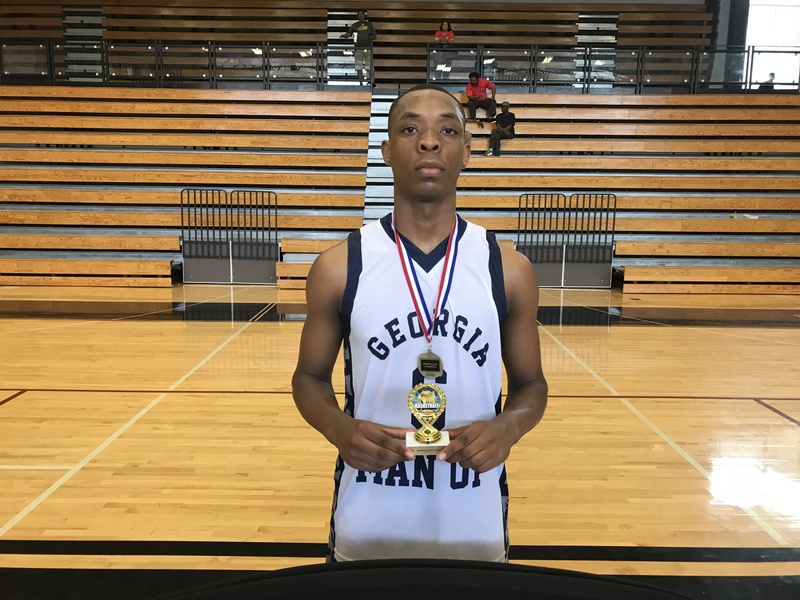 2020 6-2 PG Jordan Jefferson (Hiram) has length at the lead guard position. He possesses a nice three-point stroke as well, hitting four threes on his way to 14 points in the championship game. To no surprise, Jefferson uses his long arms to help out on the boards, corralling 5 rebounds and earning 3 steals. Jefferson could be a useful rotational piece his junior season. 2020 6-5 SF Sterling Johnson (King’s Ridge) is a well-built swingman with a dangerous outside shot. He can slash effectively and makes him a threat to score from all three levels. Johnson has the makings of becoming a breakout candidate his junior season considering that Eric Coleman Jr. has transferred to Buford. It should be Johnson’s team at King’s Ridge. It will be interesting to see how new head coach Bob Martin uses Johnson in his offense. 2020 6-6 F Chase McKey (Mt. Pisgah) is a long forward that is transferring from Johns Creek. He will need to get stronger, but McKey can score inside and out. He can knock down the three-point shot while also using a soft touch around the rim. He should be a quality piece at Mt. Pisah and provide help on both ends of the floor. 2021 5-11 CG Marcus Samuel (Langston Hughes) is physically cable to handle the rigors of the varsity level. He already has one state championship ring as a role player off the bench for the Panthers. Samuel is a bowling ball powerful guard that put defenders to sleep once he got his shoulders by them. He turns the corner, he has a variety of nifty finishes at the rim. He piled in 23 points, 8 rebounds, 4 assists, 1 steal and 2 blocks in a blow out win. Samuel knows how to get two feet in the paint. The next part of his game that needs to develop is a three-point shot. 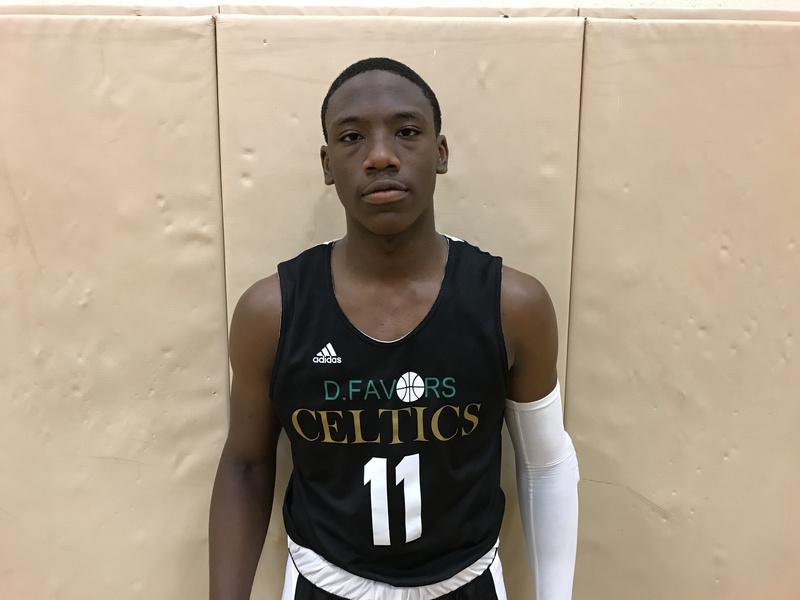 2021 5-9 PG KJ Webb (Langston Hughes) is a lengthy playmaker that gets after it on both sides. 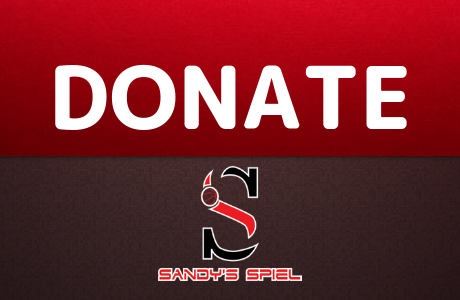 He can disrupt offenses with his on-ball defense which leads to opportunities on offense. He stuffed the stat sheet with 8 points, 4 rebounds, 7 assists and 7 steals. Webb is a tough guard that should be a valuable piece at the varsity level in due time. 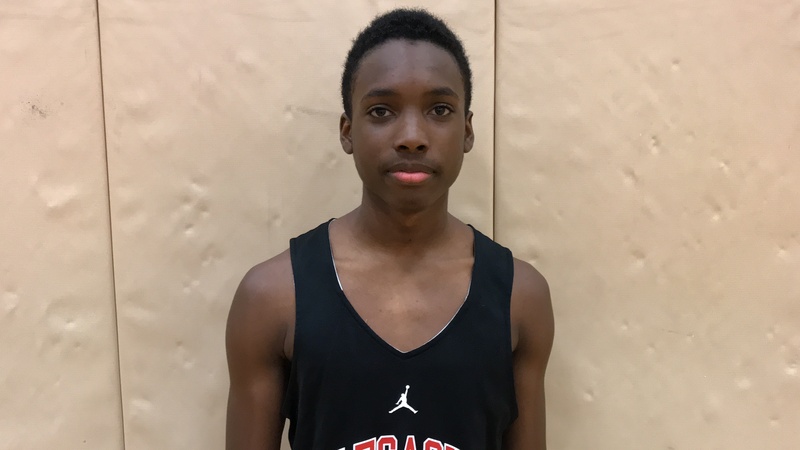 2022 5-10 SG DJ Potts-Heard is a floor spacer and a varsity ready three-point shooter. 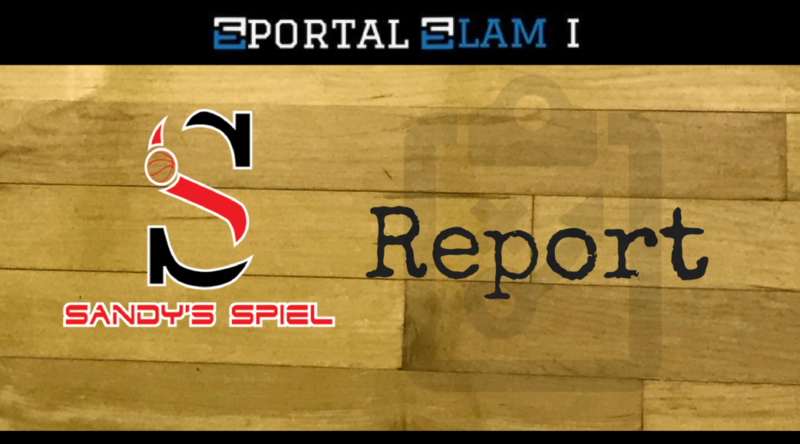 He nailed 5 threes in his 25-point outburst to open sportalSlam. When his feet are set, Potts-Heard can carry a team from deep. He has some nice moves when getting to the basket as well. He is wired to score at this stage of his career. Once he develops more of a floor game as a playmaker, Potts-Heard could really become a big-time player. Either way, he is a sought-after freshman that will need to decide whether to play in Cherokee County or to venture out to private school. Depending on which route he chooses, he could make an impact as a rotational player right away. 2022 6-0 F Robbie Roper (Woodstock) provides energy as a garbage guy. He can do a little bit of everything out on the floor and has a good IQ that often puts him in a position to succeed. He sparked the Legacy in their opening game, springing the eventual champions to life with 6 points, 9 rebounds, 5 assists and 5 steals. 2022 6-1 F Ezra Milton (Cherokee) is a physically mature forward that can knock down the three and use his athleticism to score inside. Milton is a banger that has skill offensively. He is another quality player that will be a part of Cherokee’s youth movement. 2022 5-10 G Maestro Shadburn was aggressive getting to the basket all week. He is a true downhill slasher that does all his work around the rim. He can finish with both hands. Shadburn is a bundle of energy. He posted 10 points, 6 rebounds, 4 assists and 5 steals against the Cherokee Legacy. Developing an outside shot will be the next step in his offensive development. 2022 5-7 SG Grant Rowe (St. Pius X) is a money shooter. Rowe has the clutch gene, drilling a deep two off a head fake as time expired to advance onto the championship game. He may be little, but Rowe has a good feel for the game and can get red-hot from deep. 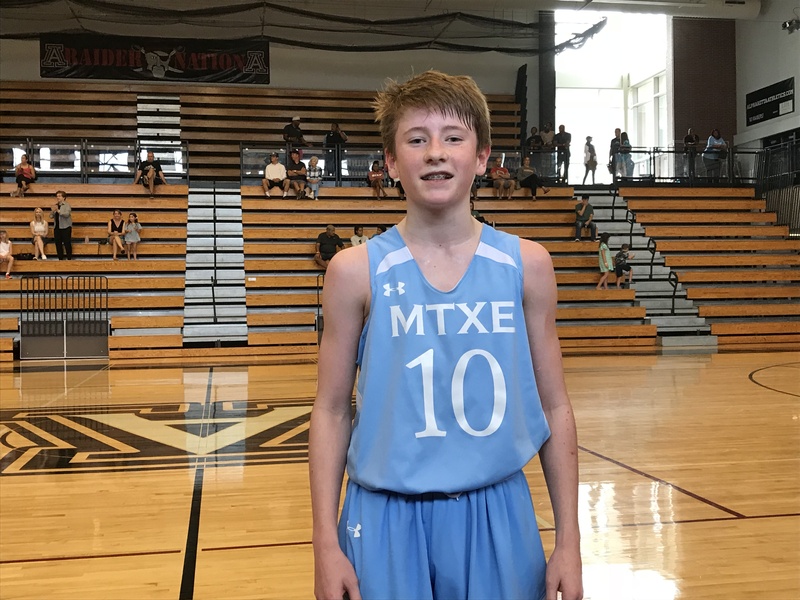 2022 5-10 G Cam Wingo (St. Pius X) was non-stop effort this weekend for Team MTXE. He embodies what being a future Golden Lion is all about: Mental toughness, Extra effort. Wingo is built like a football player and plays like it on the court with a controlled aggression. He is a leader on the floor and will do whatever it takes to win. 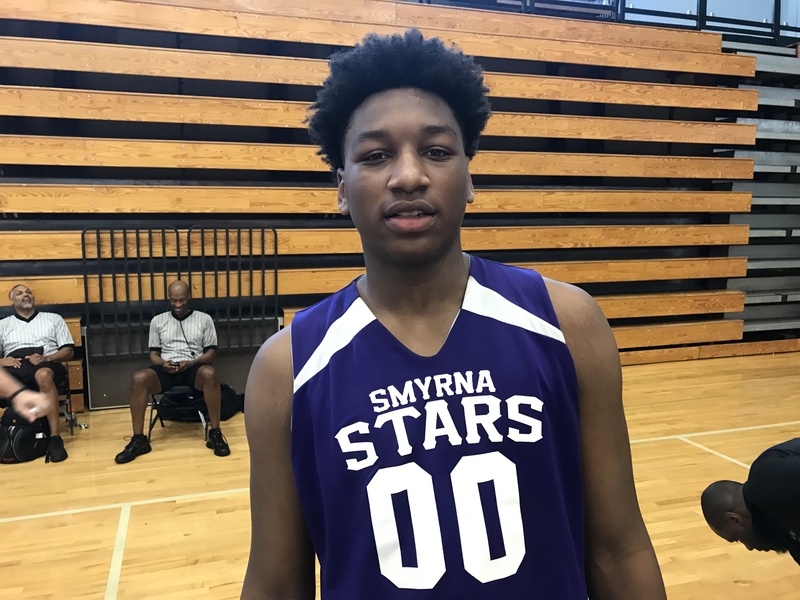 He reminds me of 2019 6-3 F Zach Ranson, a Wake Forest football-commit, who played an integral part in St. Pius making back-to-back state championship appearances.